It is replaced by the Symbol DS3508. The DS 3408 industrial barcode scanner from Symbol Technologies uses digital imaging technology to accurately capture all types of two-dimensional (2D) and one-dimensional (1D) barcodes while offering the high performance typically found only in laser scanners. The DS 3408 comes equipped with a charge-coupled device (CCD) image sensor, which allows more accurate capture and processing of barcodes at a faster pace than other digital scanners. In addition, the scanner's omnidirectional scanning functionality lets operators quickly capture barcodes from any angle, eliminating the need to line up barcodes with laser lines. The DS 3408 has multiple interface capabilities that allow it to work with a variety of hosts. Scanner (Digital Industrial Kit, Keyboard wedge with 9-Foot Coil PS/2 Keyboard wedge Cable). Digital, Industrial, Multi-Interface. Color: Yellow. Scanner Only - Cables and accessories must be purchased separately. These include USB (Part# CBA-U01-S07ZAR), PS/2 (Part# CBA-K01-S07PAR), or RS-232 Serial cables (Part# CBA-R01-S07PAR) and a Power supply (Part# PWRS-14000-253R). 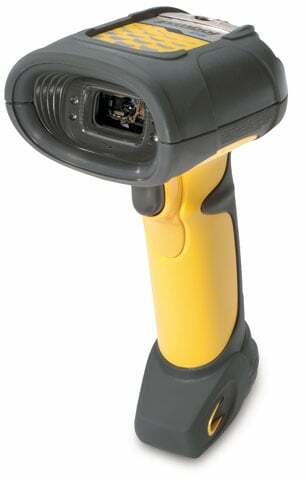 Scanner: Digital, DPM, Multiple interface Cord, Twlight Black/Yellow. Multiple interface, HD. Scanner Only - Cables and accessories must be purchased separately. These include USB (Part# CBA-U01-S07ZAR), PS/2 (Part# CBA-K01-S07PAR), or RS-232 Serial cables (Part# CBA-R01-S07PAR) and a Power supply (Part# PWRS-14000-253R). High Density Industrial Scanner, Multi-Interface, Imager. Color: Yellow. Scanner Only - Cables and accessories must be purchased separately. These include USB (Part# CBA-U01-S07ZAR), PS/2 (Part# CBA-K01-S07PAR), or RS-232 Serial cables (Part# CBA-R01-S07PAR) and a Power supply (Part# PWRS-14000-253R). Scanner (Industrial, 9-Foot Coil RS-232 DB-9 and US Power supply). Digital, DPM, Multi-Interface. Scanner Only - Cables and accessories must be purchased separately. These include USB (Part# CBA-U01-S07ZAR), PS/2 (Part# CBA-K01-S07PAR), or RS-232 Serial cables (Part# CBA-R01-S07PAR) and a Power supply (Part# PWRS-14000-253R).